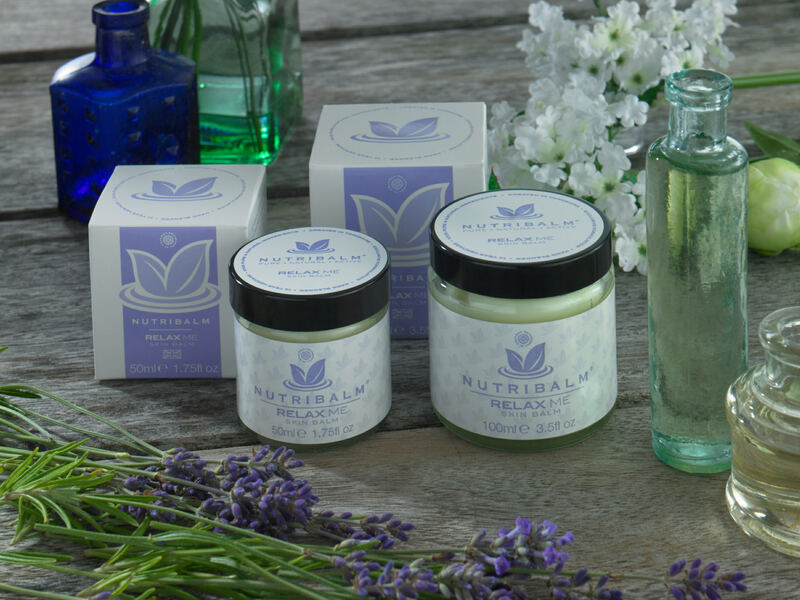 NUTRIBALM® RELAX ME Hydrating Skin Balm is infused with the sweet floral scent of lavender essential oil. The perfect bathroom and bedroom companion! • Known for it’s naturally healing and sedative properties, it calms and balances the senses. • Helps to ease stress related conditions, headaches and aid a restful night’s sleep. • Perfect as a therapeutic and relaxing massage balm. • Ideal for sensitive skins. Does not irritate skins prone to eczema and psoriasis. • Suitable for everyone including, babies, children and during pregnancy. • May be used on: scars, stretch marks, sun damaged skin. • Helps condition the nails and cuticles, without feeling sticky or greasy. Exclusively formulated and created here in Yorkshire. You may use NUTRIBALM® RELAX ME hydrating skin balm virtually anywhere on the body. Made with a powerful, therapeutic blend of 100% pure, naturally active, plant oils and botanicals, in a cocoa butter base. NUTRIBALM® RELAX ME, is an exclusive formulation, ultra-rich, multi-tasking, super concentrated, hydrating skin balm. This unique formulation is hand-blended and gently infused with the sweet floral scent of lavender essential oil. Lavender essential oil is a potent, natural healer with sedative properties. As a hydrating skin balm, NUTRIBALM® RELAX ME it has many therapeutic benefits. It helps to relax the body, as well as calming and balancing the senses. It helps to ease stress related conditions, headaches and aid a restful night’s sleep. Equally it is perfect to use as a therapeutic and relaxing massage balm. Bursting with protective antioxidant vitamins A, C and E, Nutribalm® gently hydrates, soothes and softens skin all over the body. Consequently, it is ideal for sensitive skins and does not irritate skins prone to eczema and psoriasis. It is also suitable for everyone including babies, children and during pregnancy.